If you’re looking for things to do in Sydney, the Gold Coast or just seeking a fun family day out anywhere in this nation of big thrills, you’ve come to the right place. 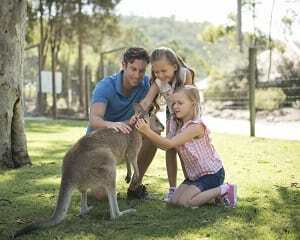 You’ll find tickets and entry options for some of Australia’s very best theme parks. Use the filters to narrow your search by state or price range. Theme parks are a great option for people of all ages, throughout the year. We think they’re perfect for family holiday days out, as well as longer breaks. There are options to suit everyone. 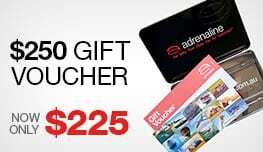 Take a look at the selection and you’ll find everything from a 7-Day Super Pass giving you unlimited entry to Warner Bros. Movie World, Sea World and Wet’n’Wild Gold Coast, to 1-day tickets for access to both Dreamworld and WhiteWater World. What is the best theme park in Australia? That’s for you to decide! 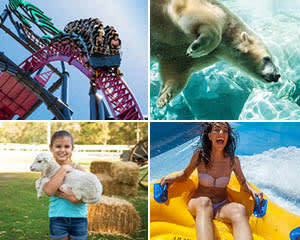 Some of Australia’s best theme parks can be found on the Gold Coast. The previously mentioned attractions are well worth a closer look. 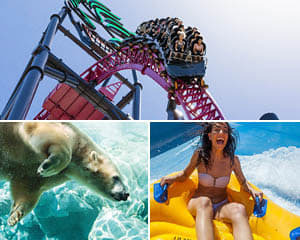 The Gold Coast’s Dreamworld is famed for being home to some of the country’s fastest, highest and most impressive rides. 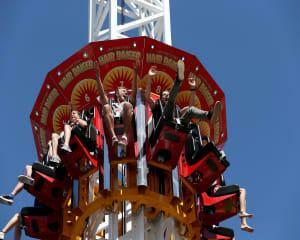 Visitors can enjoy the BIG 9 Thrill Rides, such as the brand new Tail Spin, where the controls are in your hands. 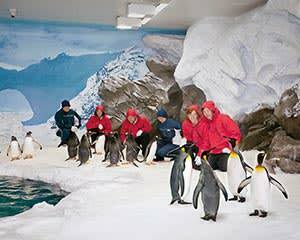 Dreamworld is also home to more than 500 animals and multiple attractions onsite. Kids will love ABC KIDS WORLD, where they can meet some of their favourite TV characters in real life. Try out the the Bananas in Pyjamas Fun Maze, step aboard the Giggle and Hoot Pirate Ship and try out the Hop and Hoot ride. With the DreamWorks Experience featuring lands like Shrek's Faire Faire Away, Kung Fu Panda: Land of Awesomeness and Madagascar Madness, there’s so much fun to be had. And don’t forget to explore Wiggles World too! When it’s time to cool off you can head to the connected WhiteWater World. Its high-acceleration tunnels and funnels are heaps of fun and arguably just as thrilling as any rollercoaster. 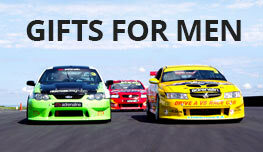 Or how about a ticket giving you entry to Warner Bros. Movie World, Sea World and Wet’n’Wild Gold Coast? 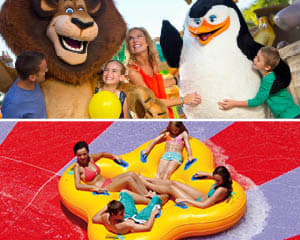 With over 80 rides, shows and attractions across the three theme parks, there’s something for everyone to enjoy. Immerse yourself in this magical world and enjoy rides and attractions at all thrill levels, including DC Rivals Hypercoaster, the Scooby-Doo Spooky Coaster Next Generation and the LEGO Movie 4D Experience. 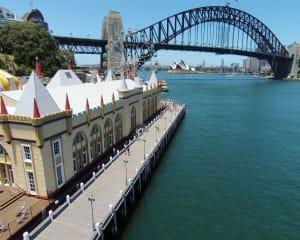 And no discussion on Australian theme parks would dare miss the iconic Luna Park, Sydney. There you can enjoy rides including the Hair Raiser, the Tango Train and the Devil’s Drop, and enjoy stunning views of Sydney Harbour. This heritage-listed theme park has been thrilling visitors since way back in 1935 and remains a must-see Sydney attraction to this day. The Luna Park unlimited rides pass is valid all day, giving you plenty of time to ride and ride to your heart’s content. It also includes entry to the Olympic Pool, which is the perfect place to cool off, so don’t forget to pack your swimmers.